Tenerife has long been a holiday favourite for British travellers and perhaps has had a reputation for attracting a “Brits abroad” crowd. But venture away from its sunshine-drenched southern coast and head north and not only will you see a rather different island. You’ll also discover plenty of culture in Tenerife. The north of the island isn’t just home to the “other beach resort”, of Puerto de la Cruz, but it’s full of plenty of Tenerife points of interest including the island’s present capital Santa Cruz, and for those with an eye for history, its fascinating old capital, San Cristóbal de La Laguna. 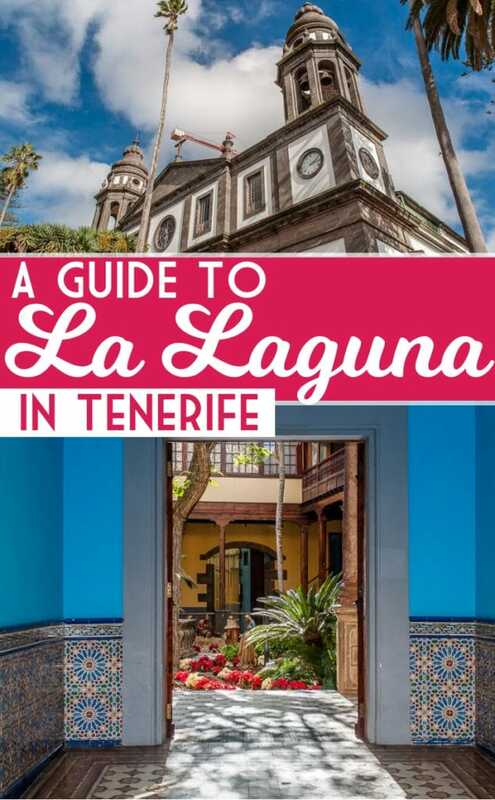 La Laguna, as it’s known for short, is for me one of the best places to visit in Tenerife. It isn’t only a UNESCO World Heritage site, but it is one of the most historic and authentic places on the island and well worthy of a day trip, particularly if you’re staying in the south of the island and are keen to see more. Alternatively, it’s also a perfect place in which to base yourself for a holiday exploring the north of Tenerife. It is located alongside the island’s modern capital Santa Cruz, in the foothills of the verdant Anaga Rural Park where Tenerife reveals its tropical side with a rainforest set on staggering peaks. A short drive south west of the city takes you on the winding road (though far less vertiginous as the route from the south) up to Tenerife’s other UNESCO World Heritage site and best known natural jewel, Mount Teide. So the city is well placed, but San Cristóbal de La Laguna also has a lovely atmosphere. It’s a city where history seeps through the walls of its buildings and winds its way around its streets. It also has stately architecture and a boutique feel with characterful hotels. San Cristóbal de La Laguna may not be the biggest city in the world, but it has certainly played its part in world history. Streets in the city unfurl in vibrant colour – building façades flashing blue, yellow, red and green off of its main square, and the one you’ll likely arrive to first, Plaza del Adelantado. 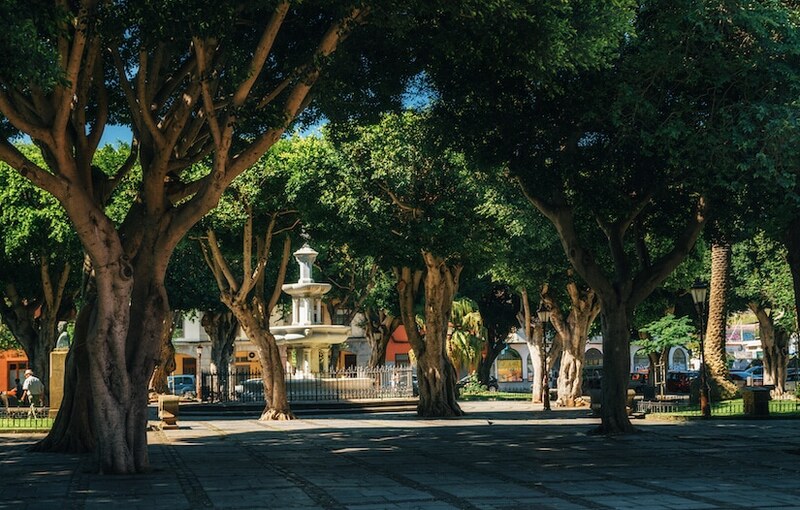 The square was the heart of all public life in 16th century La Laguna. 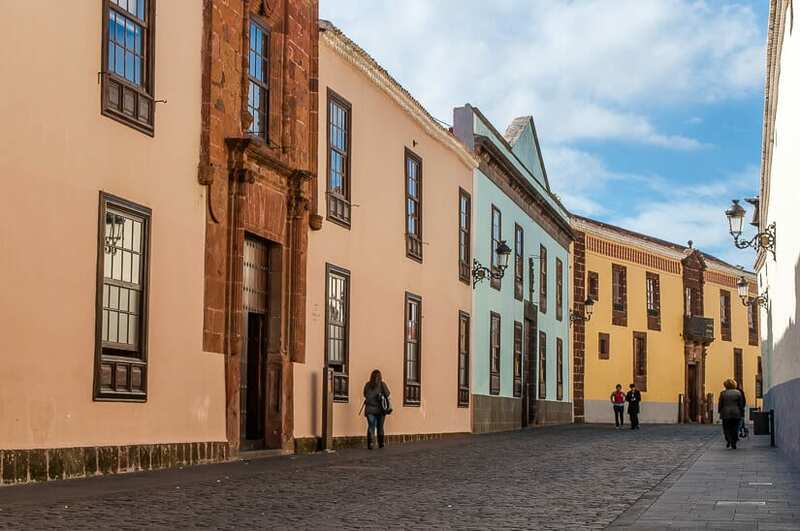 Yes, La Laguna really is that old – in fact, it was founded a little earlier than that, somewhere between 1496 and 1497 after Tenerife’s original natives, the Guanches, fell to Spanish conquistador Alonso Fernández de Lugo and his troops. 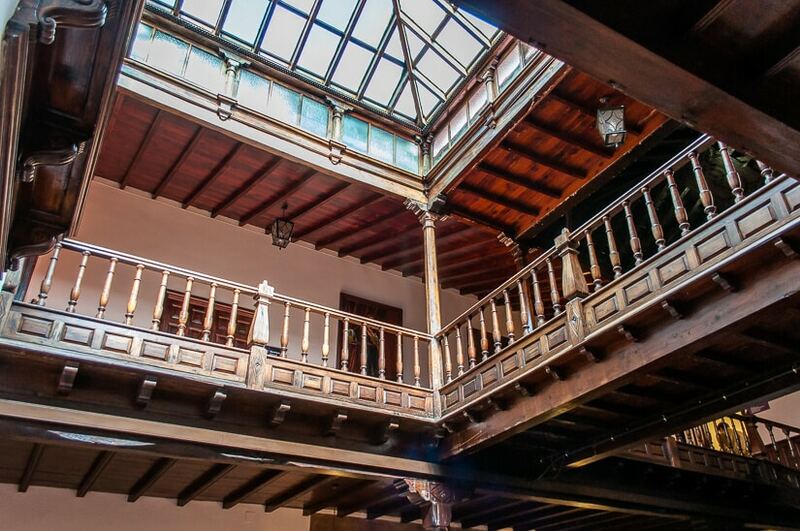 Plaza del Adelantado soon housed a residence for Fernández de Lugo, which is now the Convent of Santa Catalina de Siena, with two unusual lattice-work wooden balconies containing many important artistic works. Other historic buildings still there today include its grey stone, but still impressive, City Hall and the Hermitage of San Miguel Arcángel. La Laguna is now without its lagoon after it was drained to prevent it from spreading disease, but not being able to take a dip shouldn’t dampen your explorations. The city is culturally rich with more than 600 protected buildings to see with unique features. 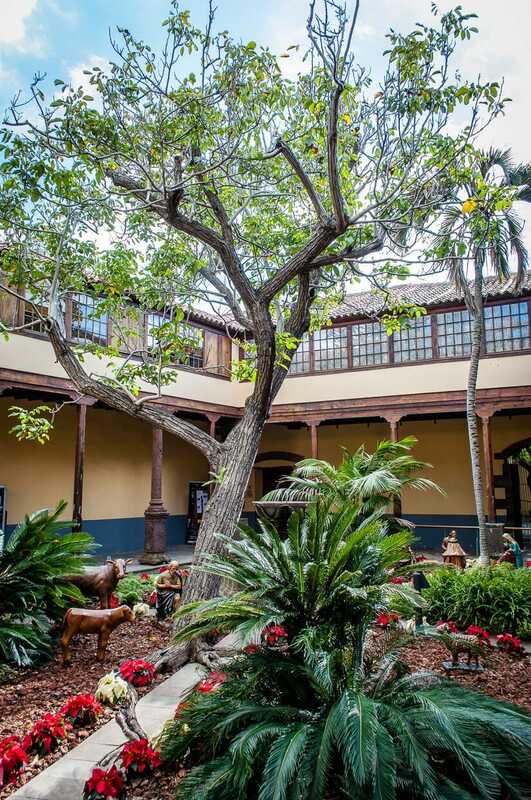 Many of these are heritage buildings dating from the 15th century have traditional colonial-era internal courtyards filled with plants, trees, fountains and statues, providing perfect peace. Each is different, so be sure to leave yourself plenty of time to go behind the brightly coloured building facades and get a real feel for this historic city (but beware, many are closed on Sundays). More detail on some of the most interesting follows below. 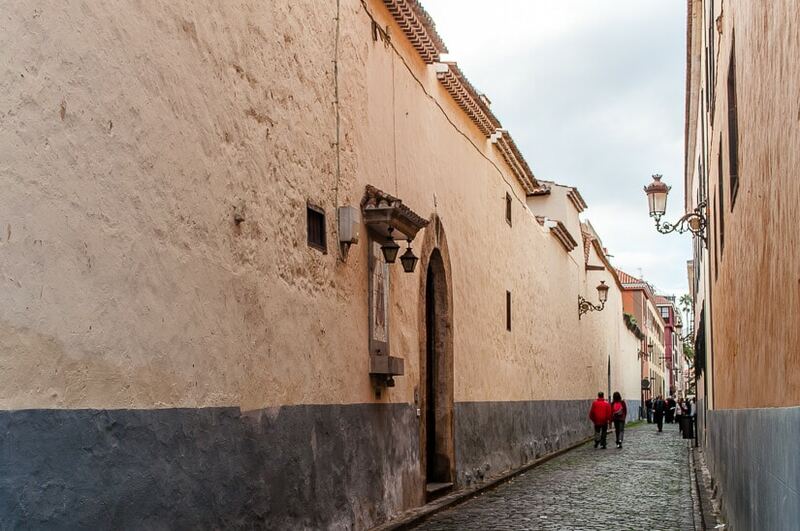 La Laguna has been true to its 15th-century roots right down to the city’s street layout, which remains almost intact. It clearly worked well, as La Laguna’s grid-like street plan was used as a template for cities found across the Americas, and the reason why the likes of Old Havana, Lima and Cartagena, bear a striking similarity to La Laguna today. It is also though a lesser known fact about the city. While streets in ancient cities like London wend and weave their way past a complex huddle of houses, most new cities are built on a grid and it’s all thanks to this tiny corner of Tenerife. It is also one of the reasons why La Laguna has been a UNESCO World Heritage Site since 1999, the island’s first, which was followed in 2007 by Teide National Park. For more history on the city and the whole of the island, visit the Tenerife Museum, in the city, which charts the impact of nature, the arts, science and even the cosmos on Tenerife. 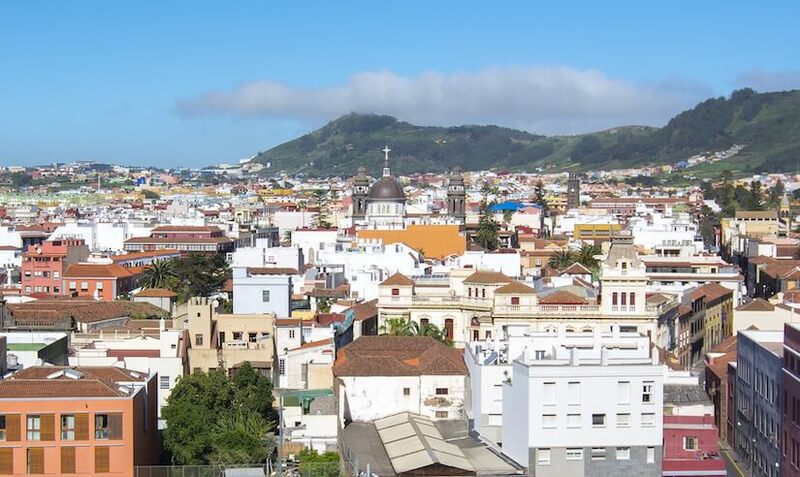 If you’re seeking culture in Tenerife, La Laguna is a must visit. 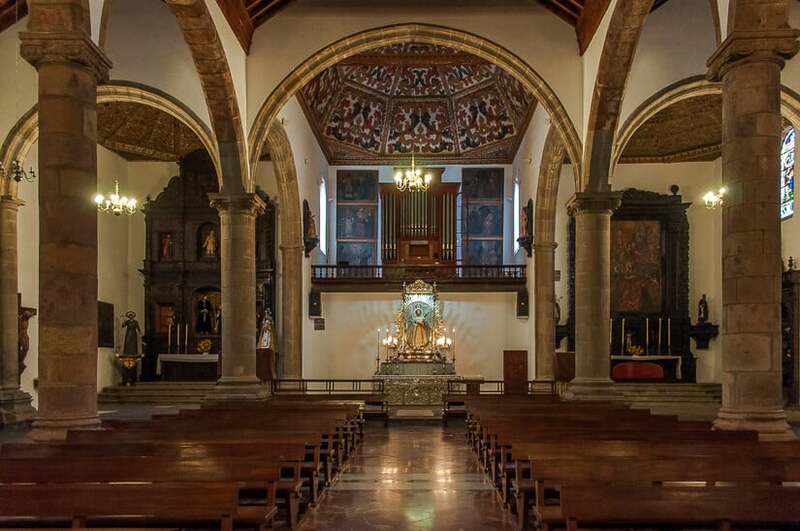 Today it’s regarded as the religious and cultural capital of the island, as the San Fernando University and Tenerife’s Bishop’s Palace are located within the city. Wandering the city’s streets we could not help but be impressed by its architecture and Calle Obispo Rey Redondo is a great place to start taking it all in. 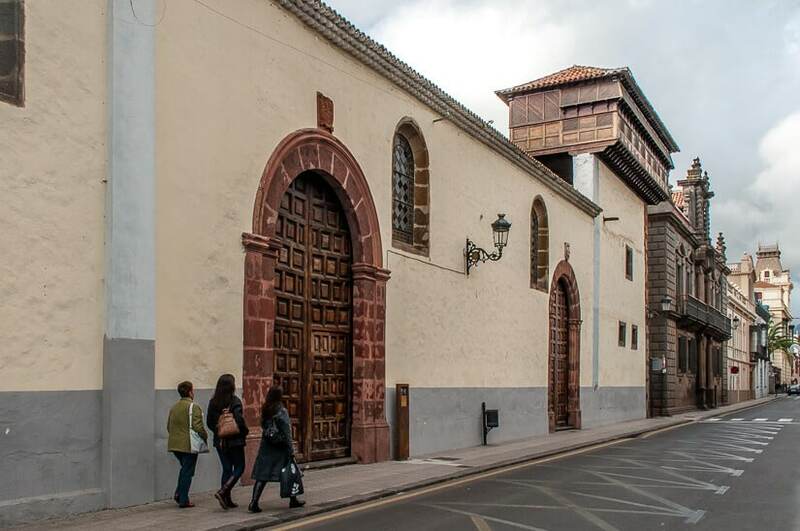 Casa del Corrigedor is one of the oldest buildings in La Laguna, which dates back to 1540 and was used as a prison in the 18th century. The only original part of the building that remains is the red volcanic stone used on the facade. It currently is home to municipal offices but you can venture inside to see its glass-roofed patio and wooden balconies. Next door, Casa de la Alhóndiga is painted a bright sky blue and was the city’s granary when it was built in the 18th century before being turned into a courthouse. The third building on this block though is perhaps the most interesting. 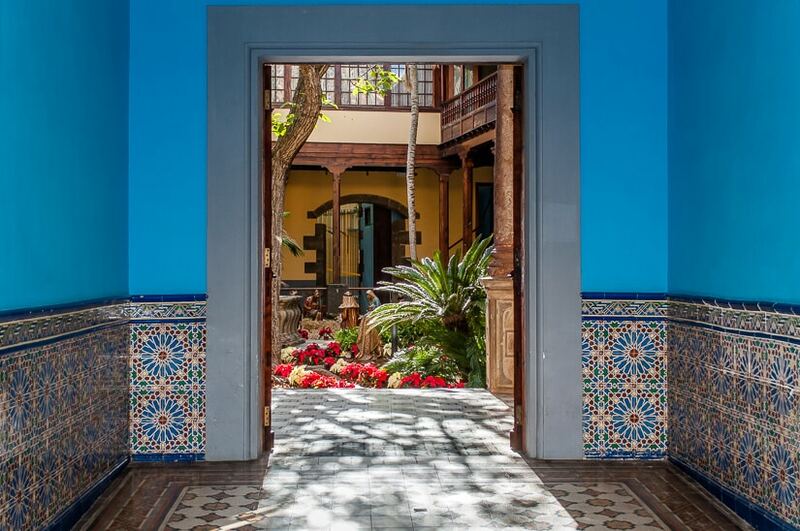 Casa de las Capitanes Generales, secrets away gorgeous tiling and a pretty courtyard. 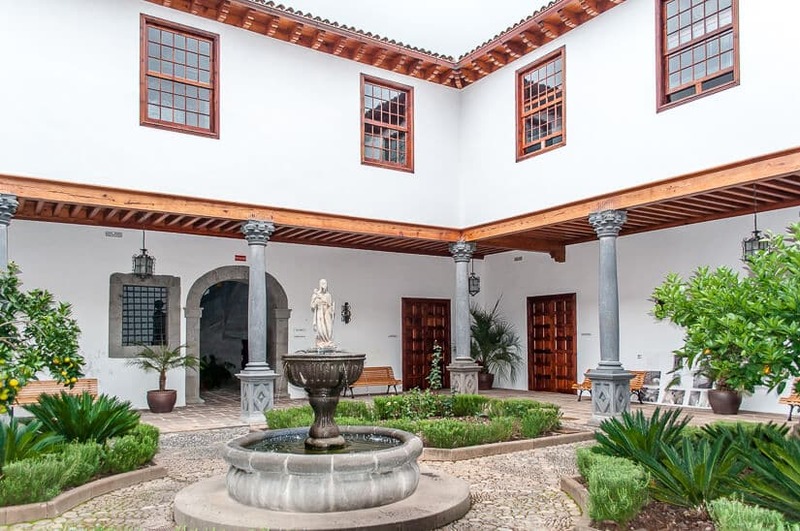 Built by the commander of the Spanish army in Tenerife, it dates back to 1624, and the interior sits around a U-shaped patio surrounded by a wooden balcony above. The beautiful neo-Gothic Cathedral de San Cristóbal de La Laguna dates back to 1511 and is definitely one of the highlights of this UNESCO World Heritage Site. 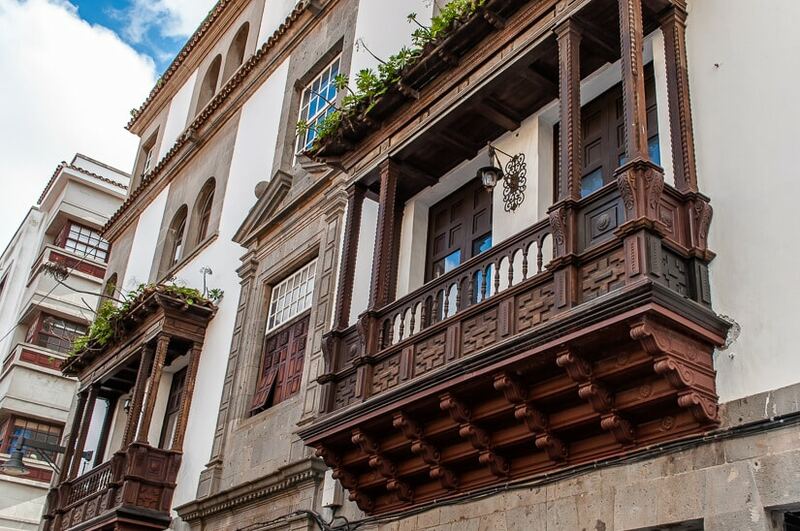 Wooden balconies are a feature of much of Tenerife’s traditional architecture and none more so than here in La Laguna. 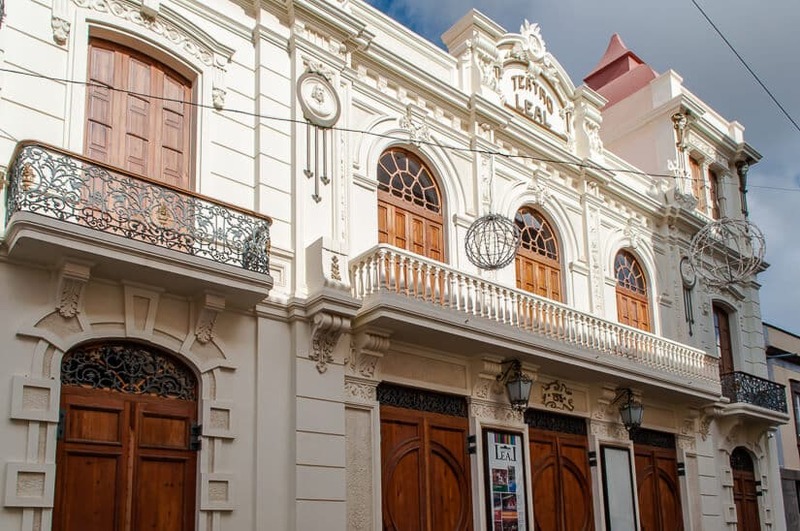 Built in 1915, Teatro Leal may be a young addition to this historic city, but it has many elegant features including floral, animal and human motifs on the exterior and murals and ceiling paintings inside. 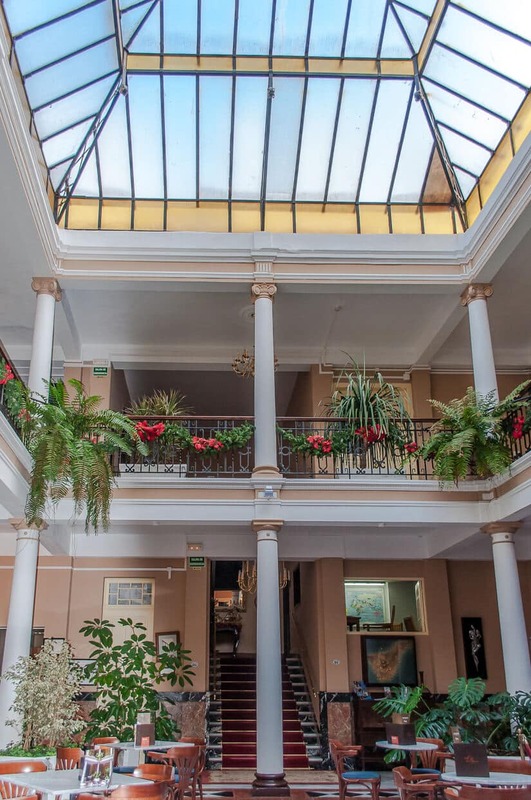 The elegant patio of the former house of nobleman the Marquis of Torrehermosa is now part of the Hotel Aguere and a great place to pause for a coffee while taking in the airy interiors. 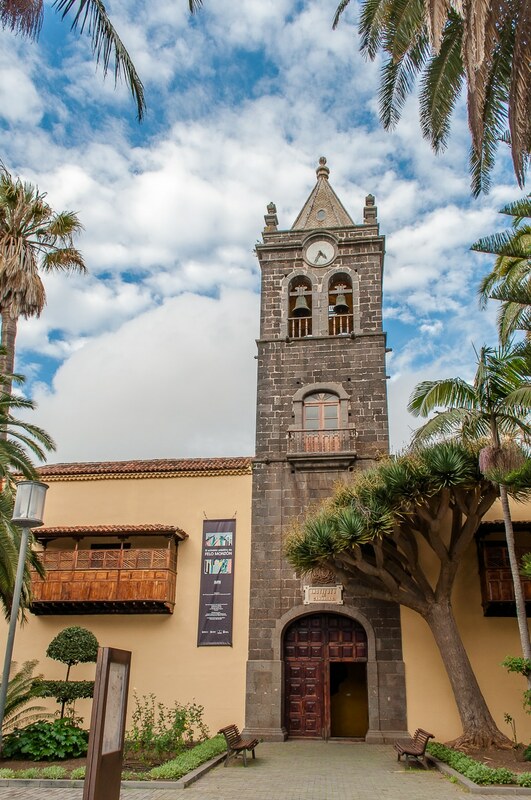 The Church of Our Lady of the Conception was the first church built on Tenerife. The original parish church was built in 1511 and had three naves, but the church became dilapidated and the naves collapsed in 1972 before being rebuilt. The church’s tower was built at the end of the 17th century and is a landmark marking the end of the pedestrianised Calle Obispo Rey Redondo. Meanwhile, the church and former convent of Saint Augustine, in Calle San Augustin, was founded in 1506. The convent housed the first secondary school in the Canary Islands. 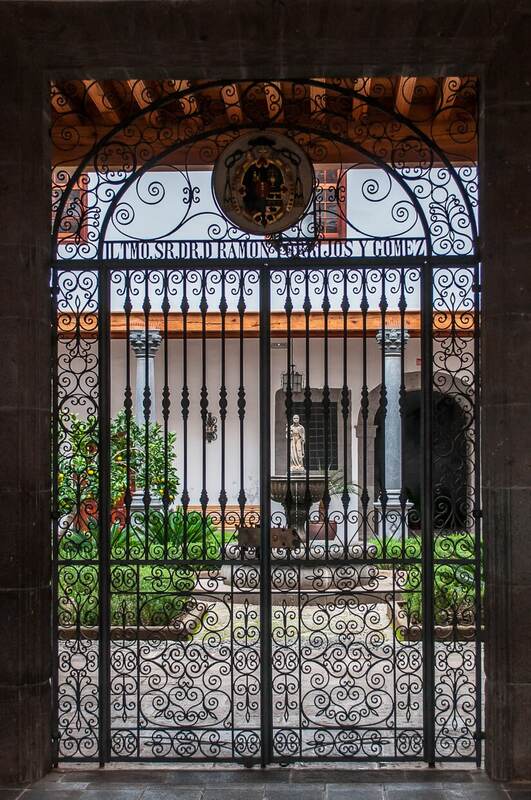 Another home of one of La Laguna’s former noblemen, Casa Salazar is a great example of the Canary Island’s finest baroque architecture and features animal-shaped gargoyles. The house was severely damaged by fire in 2006 but was restored to its former glory and reopened in 2009. All that sightseeing will undoubtedly have left you in need of a break, so do as I did and head for the open courtyard of El Rincon de Tintin. Not just one, but two bars – one features a whole host of craft beers, while the other one caters to everyone’s taste with vermouth – my Spanish drink of choice, to Tenerife’s great wines, and also spirits. 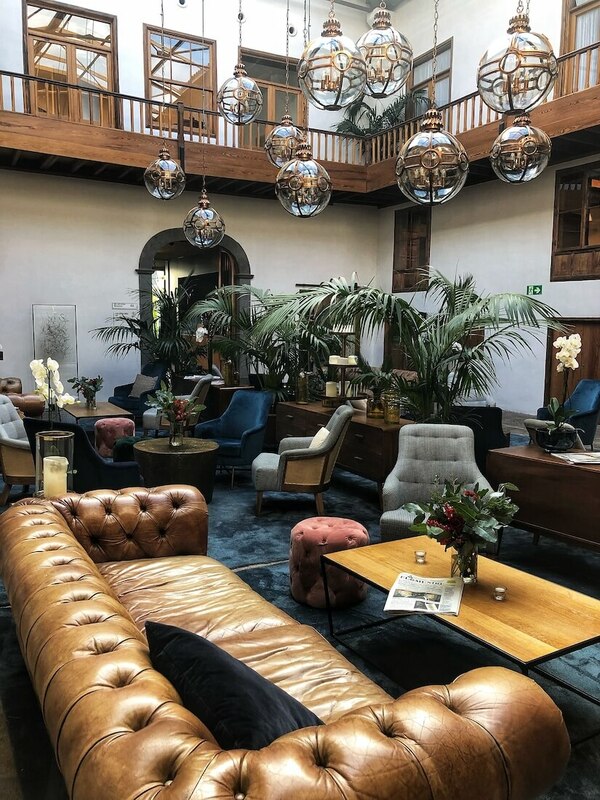 I stayed at the La Laguna Gran Hotel which is a two-three minute walk from the historic centre of San Cristóbal de La Laguna. It has very comfortable modern rooms a rooftop swimming pool, lovely lobby bar and a one-Michelin star restaurant, Nub, one of just five that have been recognised on the island. Dishes here fuse Italian and Chilean recipes with traditional Canarian flavours amidst La Laguna’s cultural attractions. Visit Santa Cruz’s Auditorio de Tenerife. Not only is this Calatrava-designed concert hall architecturally spectacular, but it offers a host of concerts and events. Go to the Casa de Carnival, also in Santa Cruz, to learn about the biggest carnival in Europe. Yes, that’s right, Tenerife holds one of the biggest annual carnivals outside of Rio, and this excellent museum doesn’t just take you through the history of it through a dazzling collection of costumes but you also get the chance to join in the carnival yourself and get decked out in costume. Visit La Orotava during the Corpus Christi festival to see the town in full colour – it is painstakingly covered in flower and sand carpets created by townspeople between late May-June (this year it is on June 20). Culture doesn’t only come in Tenerife’s history, arts and events though. Its nature has plenty of surprises – head to one of the lesser known Tenerife points of interest, Anaga to see the cave houses which were cut into the rock by the Guanches. Or visit its excellent Botanical Gardens to see how the island of Eternal Spring, as Tenerife is known, blooms year round. Once you’re full of culture, see more unusual things to do in Tenerife. La Laguna is lovely, some of the architecture is outstanding. I agree with you Dennis it is certainly not what I expected to find. It was lovely to see such an historical place. Lovely photos of a very beautiful city. 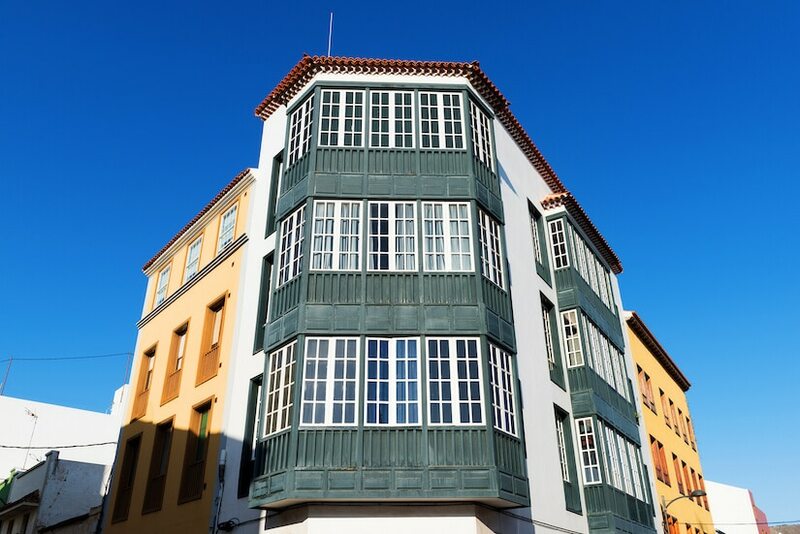 If you liked the traditional carved wooden balconies here, you’ll love the Casas de Los Balcones in the old quarter of La Orotava – they’re spectacular. 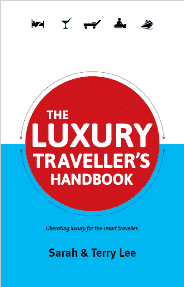 One for your next trip maybe? Thanks Andy, that sounds good, we’ll be sure to check out Casas de Los Balcones in La Orotava next time. Too true! It took years before I decided to visit Tenerife – and all because I’d only heard about its terrible reputation. Then I saw it for myself – wow! 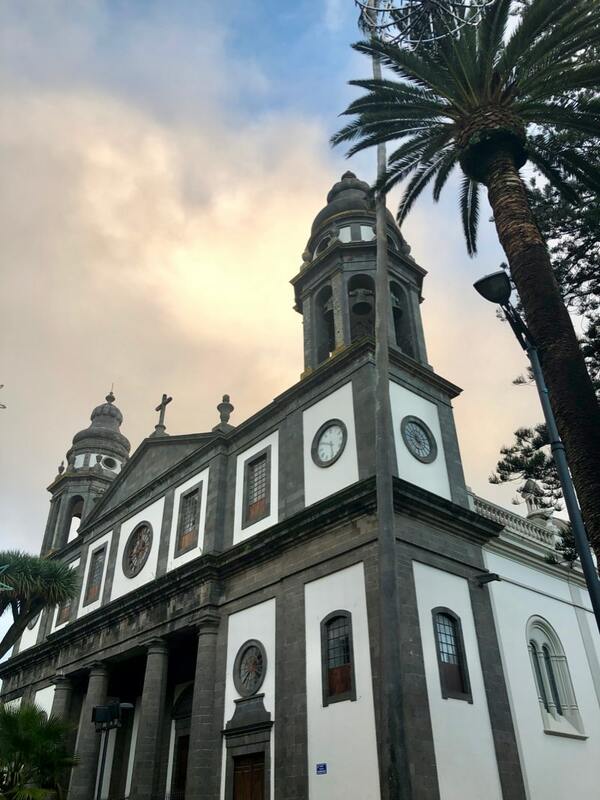 I still haven’t visited La Laguna yet – thank you for your post and the hefty dose of inspiration. Hi Abi, I agree with you, Tenerife is often presented in a bad light, but there is so much more to the island. Do visit La Laguna it a seriously interesting place. We’re glad to be of inspiration to you, it is what we aim to do.